Contrasting colors, large copy, and striking images of glass draw the viewer into these Stewart Engineers Print Ads. 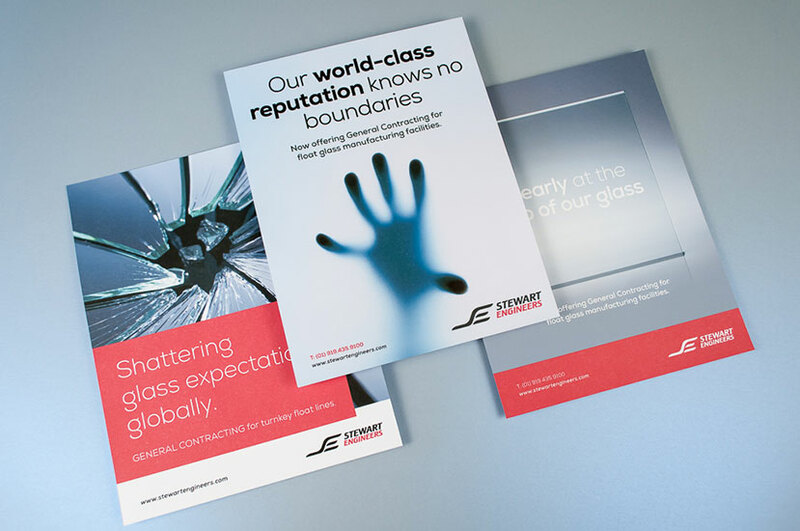 Generate Design created these print advertisements to give the company a greater visibility while also highlighting the quality of the work Stewart Engineers produces. Stewart Engineers is a global leader in the production of glass technology, so we decided a fun solution to advertisements were to play on that idea, hence the message on each ad. In doing this, Generate Design has maintained the company’s brand while also creating something fresh and new. The cool color palette gives the ads a futuristic and progressive feeling, conveying the innovative nature of Stewart Engineers.